The seasonal wardrobe changeover can both excite and intimidate. On the one hand, it’s an excuse to go shopping—our favourite thing to do here at WWW—and it’s a chance to decide what sort of person it is that you really want to be this summer. But it can prove daunting when you’re trying to decide on a look that’s appropriate for the blistering heat and cool enough for a sweaty commute. On top of that, reinventing your summer self can seem financially daunting. But contrary to popular belief, you don’t actually need an entire wardrobe of new garms to change up your summer style—you need a carefully edited selection of clothes. To be more precise, you just need to look to these seven key pieces. From trusty white jeans to strappy mules, scroll to see the must-have buys of your summer capsule wardrobe. Introducing your new wear-with-anything wardrobe staple. White jeans will instantly refresh your look, adding a summery twist to any outfit. And they can take you through to autumn too—just add a heavier-weight jacket and a sweater. Buy now, wear forever. Who would have thought? We love the cropped length. Mom jeans are still gong strong. Baggy is the new skinny. Ripped jeans aren’t over—but they look so much fresher in white. Forget the trench coat—a lightweight blazer is all you need in outerwear terms this season. Luckily there are so many available on the high street that will add a sophisticated edge to any everyday look. 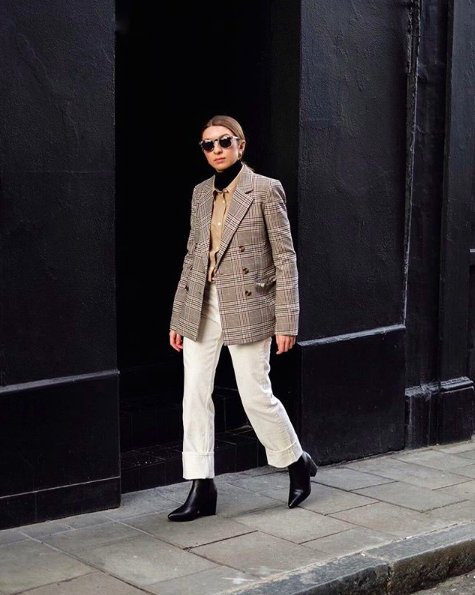 Search for neutral hues in cotton or linen fabrics that can be worn with a roll-neck come autumn and can keep you cool on warm days. Comes also in blush, but we love this soft mint-green hue. This jersey style looks formal but will fall a nice sloppy fashion. Wear with the white jeans we’ve already mentioned. Blow the budget on this exquisite model. A white T-shirt will prove to be your best friend. Wear it with jeans or under a blazer, as it’s the most versatile piece in any wardrobe. Nothing screams laid-back summer style like a simple tee. Look for boxy cuts that are pure cotton—they look far more expensive than they actually are. This one was designed by Justin Bieber’s stylist. She knows a thing or two about good T-shirts. Longer sleeves for chillier days. With turned-up cuffs, this one makes a simple style statement. This style features a nice curved hem. Summer doesn’t have to be about the floral dress. Plus, chances are every wardrobe has at least three of those already. And a quick scan of the shops will reveal that this season—it’s really about the easy linen dress. A lightweight, shirt-like maxi version that can be worn everywhere from the office to the beach is best. Did I mention they were super chic already? Ideal for sunny days in the city. Technically a nightdress, but sleepwear like this deserves to be seen. Mules have soared in popularity over recent seasons, owing to the fact that it’s the perfect hybrid of a shoe, a boot and a sandal. Honestly, it really is one of the most practical styles out there. This summer is all about the strappy mule—one that looks to the ’90s in mood but with a more sophisticated air. It’s teenage us, but all grown up. These are £50. Yes, I repeat, £50. I already own them, and they look super expensive IRL. Also comes in beige for all the minimalists out there. Is there anything more satisfying than box-fresh white sneakers? Nothing adds a crisp edge to an outfit better than an all-white pair. Like a pair of beautiful tennis pumps. White sneakers go with everything—no exaggeration. Veja sneakers are fast becoming a cult classic. A basket bag doesn’t have to be a basket. After all, some of them are impractical for everyday—either too big (perfect for the beach), too small (perfect for evenings on vacay), or too pom-pom for the city (yes, it’s a thing). But there are a whole host of sophisticated basket-inspired bags out there—from the woven shopping-bag kind to structured wooden versions. Here are a few you can take to the office. A beautifully structured bag to carry anywhere. Big enough for all the essentials. And your beach towel. A perfect marriage of pom-poms and woven detailing without a whiff of the beach. So that’s the essentials covered, but what about a few seasonal trends to tempt you?